Subsoil is a Banville private label with red wines exclusively from the Horse Heaven Hills AVA and a white wine from the Columbia Valley AVA all within Washington state. Winemaker Jeremy Santo has constructed 3 different wines: Cabernet Sauvignon, Red Blend and a Chardonnay. 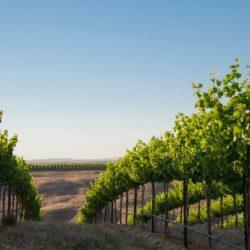 Horse Heaven Hills is located in the southeastern reach of Washington and is characterized as one of the warmer AVAs in the region with loamy soils and a high temperature diurnal shift. The fruit produced from Horse Heaven Hills is concentrated and rich while it retains fresh acidity thanks to the cool evenings.